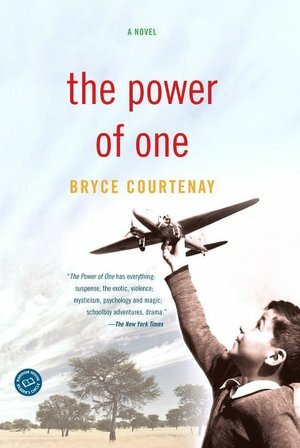 I just finished reading The Power of One by Bryce Courtenay and all I can say is, WOW! In an attempt to strong arm my little sister into reading the Hunger Games, which she hated by the way, I promised her I would read The Power of One. She has been talking about this book for as long as I can remember and her vague description of the plot included “a little boy growing up in South Africa.” Really wants to make you read it, right? Well, I finally gave in for the sole reason that she would read about Katniss and fall in love with the series, never expecting I would actually fall for the book she was recommending. Strange things do happen though, and I honestly believe this book is one of the best books I have read in a very long time. The story IS about a little English boy growing up in South Africa, but there is so much more to it and I am worried that my description won’t do it justice. The little boy, Peekay, is our narrator and we begin our story with him as a five year old being sent to a boarding school where he is teased and bullied mercilessly by the Boer children, who have been programmed since birth to resent the English. From there we follow Peekay throughout his life as he meets people along the way who greatly influence him, for good or bad. I want to go on and on about it but I’ve tried describing it to my husband and without reading it everything sounds flat. It is a book that must be read to truly enjoy. The story is so inspiring and smart, but not hoity toity, that I want to gush about it to everyone I know. I now completely understand why my sister continued to prattle on about this book, it’s that good. Go out and get it or if you live near me I will happily let you borrow my copy so that you too will be a gushing mess. Bottom Line: I highly recommend this book! I really need to do some research on which books will work so if you know of any books that fit please recommend away! And on to the next . . . I am currently reading Coraline by Neil Gaiman. UPDATE: I amaze myself sometimes at how completely oblivious I am. 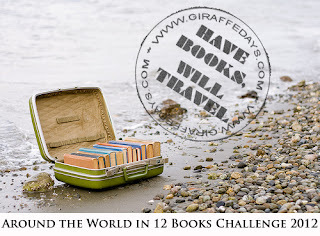 By complete coincidence, the first country of my Around the World in 12 Months challenge is South Africa. And wouldn’t you know it but my novel for this post meets the criteria. Bryce Courtenay, was born in South Africa in 1933 and The Power of One is loosely based on his life experiences; I’m glad I signed up for this challenge because had I not, I wouldn’t have realized this. Reading the novel, I was struck by how little I actually know about South Africa in general. I mean, prior to law school, I majored in History but that prepared me little on the social tensions that existed in and the past of South Africa. I have read, briefly, about the existing racism against the black population of the country, but prior to reading the book I was unaware of the great power struggle between the Boers and the English, both of Caucasian descent. It was amazing really to learn about the relationships between these two societies and I feel as though I really have learned something about the country. For those of you who are unaware, my little sister is taking a break from college and working as an au pair in Europe. She wanted to experience the world and she’s doing it! Before she embarked on this adventure she was debating on attending college in South Africa, and after reading this book I can understand why. Courtenay does a remarkable job of detailing the beauty of a country that I always believed to be just desert and lions (very stereotypical, I know) and he has convinced me to add South Africa to my wish list of places to explore. So glad I read this book. So my Guatemalan friend give me some recommendations!! I think this is a great challenge and I'm excited for it! 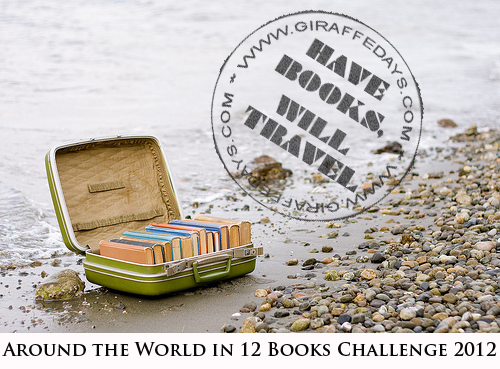 By complete coincidence I chose this book, prior to reading about your challenge and I realized after I posted it that January is the month to "travel" to South Africa. Great read either way.